This application is quick and easy to communicate to the other applications. - You can enter a message. - You can adjust the size of the message. - You can adjust the speed the flow of messages. 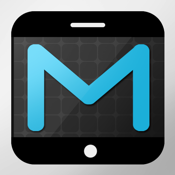 - You can adjust the direction of message flow. - the message is the ability to blink. - You can change the font color of the message. - You can change the background color of the message. - You can change the font of the message. - Background of the messages contained in your iPad photos can be. - Auto-lock feature can be turned on and off. Containing many features it will distribute free applications. Excellent application, but not a lot of encouragement and cheer, and good reviews, thank you. Translator Please understand because of.